Your will power will take unfailing charge, when specific conditions are met. First, your negative emotions must be stilled. Second, your RI must sense that your willed task is worthwhile, as well as achievable in a clearly known time frame. Your will is the intention of RI, the prefrontal regions of your brain, which competes for the control of your mind with the animal emotions triggered from your limbic system. When the two conditions are met, the “will” of RI will seize “power” in a “whirr—click” response, to take control of your thoughts and actions. 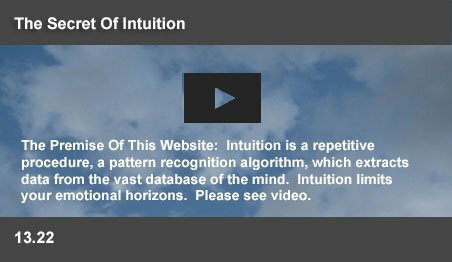 The mind control tips in this website suggest ways for meeting the first condition of stilling your emotions. To meet the second condition, the primitive reward system within your brain must receive a message that the willed task is both worthwhile and achievable in a known time frame. For this, you must work to convince RI that the benefits of completing your task outweigh the disadvantages. You should also discover how it can be carried out within a realistic time frame. On achieving the two conditions, your will power will be automatically activated. “Making up your mind” is not the key to will power. Nor is your will power defeated by a deterministic system. Your mind makes intelligent decisions. Your will power fails, when your inner wisdom is defeated by your animal instincts. You have a tremendous stored inner wisdom, which acts, outside your control. RI, your will power can take charge, when negative emotions are stilled. RI needs to be convinced that the willed task is worthwhile, practical and can be achieved in a specific time frame. This requires you to educate RI. When RI is convinced, your reptilian reward system will provide you with nervous energy. When both conditions are met, RI will automatically take charge. How To Develop Will Power –Not "Making Up Your Mind"
For most people, their RI, at the highest level, knows what is good and right. They know they should not give in to their innate desire for an easy life. Never getting out of bed, or quitting a trying job will only see their families ruined. Giving in is essentially destructive behavior. But such knowledge, even when held by RI, does not help people. They hope that “making up my mind” will exercise their will power. They make resolutions to change the more undesirable aspects of their behavior. Avoid conflict at work. Eat less. Quit smoking. Exercise regularly. But, their intention to work out disappears when they think of getting up from their armchairs. It is so boring. They feel so tired. Their joints ache. In spite of all their good intentions, their bad habits continue. Their will power fails. They feel discouraged and incompetent. Just "Making up your mind" will not achieve tangible results. Even famous people failed to acknowledge the frailty of will power. Abraham Lincoln said, “Most people are about as happy as they make up their mind to be.” The truth is that making up your mind to be happy will not make you happy. The exercise of will power is neither the act of a "free will," nor the result of "making up your mind." Determinists believe there is no free will at all. They claim that the interactions of nerve cells cause decisions, where past events decide present choices. Just the way a snooker ball cannons off the sides, the determinists hold that your actions follow inevitable sequences of neural decisions. They are convinced that your past sets your present decisions in concrete. According to them, there is no free will. But, the defeat of will power is not the result of a "click ... whirr," “determinist” decision. 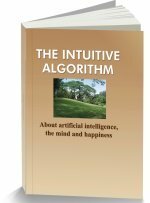 Your mind makes intuitive choices from an extraordinary stockpile of internal wisdom. Past events do not mechanically decide your decisions, leaving you powerless. Your mind makes wise choices. Such wisdom has mind boggling dimensions. As an example, the DNA in each living cell within you contains about six billion chemical letters, which can only be recorded in a thousand 500 page books. In a grown human body, the total of those codes would fill the Grand Canyon fifty times over with 500 page books! Unimaginably complex codes manage every aspect of your life. Your nervous system has a massive wisdom, which learns continually and responds to situations with its inherited and acquired knowledge. Your actions are not predetermined jack hammer responses, but follow decisions, which constantly adjust to new knowledge and changing circumstances. While your nerve cells make those decision, you still can exercise your will power. To grant more power to your will, you need to understand where it comes from. In the normal course, your emotions control your actions. Moment by moment, within the blink of an eye, an intuitive decision making process chooses your current emotion. You suddenly become angry. It will take a few moments for you to even realize that you are angry. Your mind switches controls within a triune brain, between primitive intelligences and RI, a human level intelligence. It is RI, which knows that a workout is good for you. Your will is the intention of RI, your highest level intelligence. All those complaints about tiredness, boredom, or pain come from primitive lower level feeling and emotion signals. Once in control, those signals can immediately convince you of the validity of their objections. Your will power fails, when the lower levels hijack controls and change your real time convictions! The desires of RI are overruled. The first step in exercising your will power is to still negative emotions. A particular quirk of your mind can enable this process. RI can take control by stilling boredom, tiredness, or even anger. This happens when RI (you) focuses its attention. Change of focus enables RI to take control. Ancient wisdom advised you to count up to ten, when you get angry. In the instant you begin counting, RI takes charge. The focus of your attention on counting will quieten anger signals. It is also a trait of the system that when you pay attention to the physical sensation related to the emotion, the emotion loses its ability to control your mind. The signals, which triggered such feelings will vanish, (unless they are, at that moment, too powerful). Normally, the most powerful emotion controls your actions and thoughts. When you think of working out, a sudden feeling of lethargy overwhelms you. The emotion will have made you feel tired. Such feelings of tiredness are not real. “It is all in the mind!” When attention is paid to the lethargic feeling, it will disappear. Left to itself, RI will actively begin your workout. Your will power will have taken charge. But, before taking charge, RI needs to be convinced that the task at hand is worthwhile. While deep down, RI may know that exercise is good for you, it is not convinced that the results of exercise are truly worthwhile. It suspects that the the process is impractical and the results will not happen in a reasonable time frame. The solution is to thoroughly research your objective. Write down the advantages and disadvantages. Plan the steps and how the task can be incorporated into your daily routines. Seek out small successes. Practical experience can convince RI. In her experiments with students Angela Lee Duckworth found that written down “mental contrasting” enabled young students to improve their ability to attain long-term academic goals. Students write down the benefits of completing a project as well as the obstacles they are likely to encounter. They evaluate the advantages and disadvantages of completing a project. High school students preparing to take an important examination were randomly assigned to complete either a 30-minute written mental contrasting essay, or a placebo control writing exercise. Those writing the mental contrasting essay completed 60% more practice questions than the students in the control condition. Writing down the benefits of a willed objective is a powerful way of convincing RI. RI begins to believe that the task is worthwhile, practical and achievable in a reasonable time frame. Will power requires nervous energy. It is not a matter of “exerting will.” The energy you need to achieve any goal is decided by the approach/avoid part of your nervous system. Tenacious energy depends on the attractiveness of your goal and the time you expect to take to reach that goal. Professor Wolfram Schultz discovered that neurons in the early reptilian part of the human brain release a group of neurotransmitters when they detect signals in the environment, which indicate the possibility of a reward. Dopamine, the most important of these releases, reach the prefrontal regions of the brain, increasing energy and problem solving skills. Heightened prefrontal activity has the effect of inhibiting and stilling lethargy and tiredness. The activation of these regions stills activity in the amygdala, which triggers negative emotions. The net effect is that while the dopamine release spawns energy, it also quiets negativism. Schultz noted that the release continues for the time period taken to achieve similar past accomplishments. It is not the reward, but the expectation of a reward, which releases dopamine. The release reduces at the end of the estimated time period. These mechanisms work even if your goal is something as simple as crossing a road. If you cannot focus on your studies, it is because RI informs the reptilian part of your brain that the objective is unimportant, or that it will take impossibly long to reach your goal. As a result, your mind intuitively diverts its attention to other goals. Will power concerns an inner battle for control. Emotions are clever. They can convince you of the logic of their choices. The feeling will use tiredness to convince you that the benefits of working out are not all that great. The more you argue with the feeling, the more will the emotion present you with the advantages of relaxing in your armchair. Your mind will withhold all the memories and images, which oppose the emotion. An emotion just cannot be “persuaded” through arguments. It has to be stilled. Stilling negativity requires awareness. A careful focus of attention on the symptoms supporting such emotions will achieve stillness. “What do I feel now?” is the crucial question which will focus your attention on "an outside view" of the emotion. You have to identify the subtle physical symptoms of the feeling. You will receive a true answer to the question “What do I feel now?” only when you become self aware. That takes practice. Writing down the advantages and disadvantages of achieving your objectives exposes the world view to RI as well as to your emotional intelligences. RI, the incredible intelligence within you, becomes convinced that the willed task is worthwhile, doable and can be achieved in a reasonable time frame. That conviction will be conveyed by RI to your reptilian reward system. Just as a reptile lunges forward to strike, your will power will act to achieve your sensible objectives. This page was last updated on 18-Jan-2016.